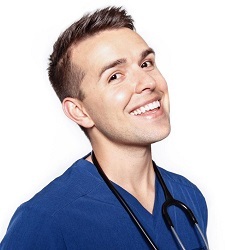 Social media star Nurse Blake will be at Methodist College for a sold out event on Thursday, April 11 at 6 p.m. Nurse Blake Live! bills itself as a one-of-a-kind show built just for nurses and nursing students to celebrate the joys and challenges of the nursing profession. Nurse Blake graduated with a Bachelor of Science in Nursing degree from the University of Central Florida in 2014. He has worked in a number of healthcare roles and started several successful campaigns including Nurses Support Their Young and Banned4Life. As the nurse with the largest audience on social media, Nurse Blake’s content reaches an average of 12 million people every month. Over 875,000 nurses and nursing students follow him on social media and his videos have been viewed more than 200 million times. Immediately after his sold out show at Methodist College, Nurse Blake will hold a meet and greet with ticket holders.